Instead, head to the newest contender for the “best gelato in Rome” title, also smack in the middle of the centro storico: Carapina. 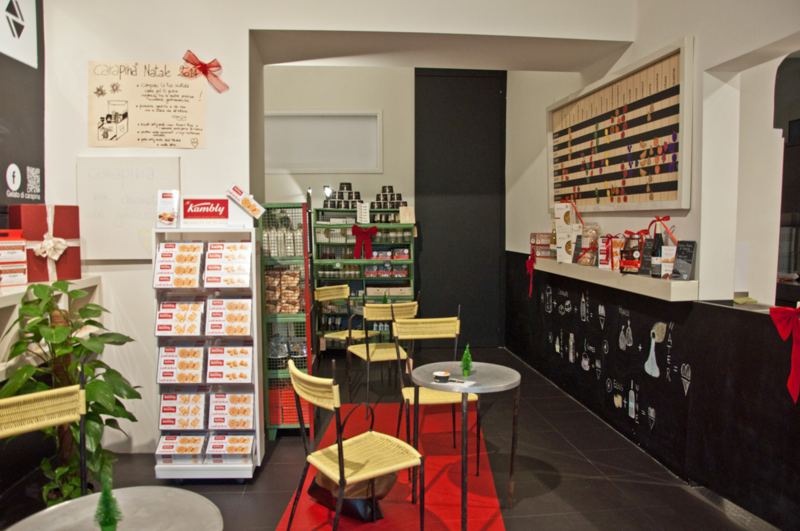 The shop opened in May around the corner from Campo dei Fiori. Originally from Florence, where it earned a reputation as one of the finest gelato shops in the country, it doesn’t make the gelato in Florence and then ship it to Rome (like many others do). Instead, the gelato is made in fresh, small batches right here in the store. There are no preservatives, no synthetic chemicals, and no thickeners. And, of course, flavors change depending on what fruit and other ingredients are in season. Result: gelato that bursts with flavor. On a recent visit, I found myself blurting out, just like a kid from a Willy Wonka factory tour, “The persimmon tastes just like persimmon! The chestnut tastes like chestnut!” Which is, of course, how it should be — but often isn’t. 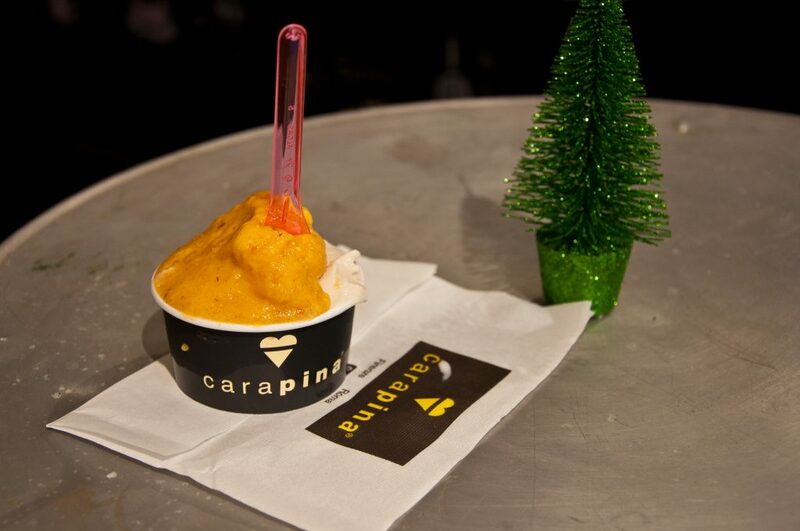 How does Carapina compare with my other favorite gelato in Rome? Carapina gelato isn’t as creamy and decadent-tasting as Come il Latte. For most people, the Carapina shop is also more centrally located. The way I see it, those two things together just mean that when I want to really indulge, I’ll head to Come il Latte. 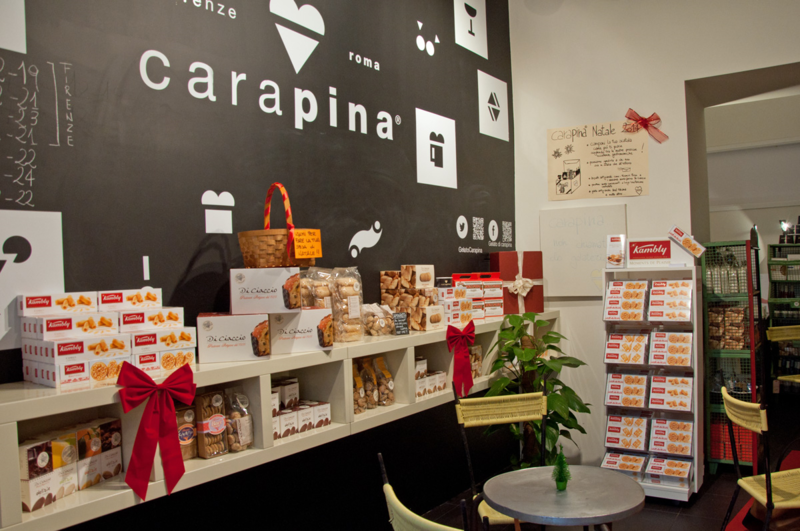 But for an everyday more frequent snack, you can find me at Carapina. After all, it’s the best gelato in Rome’s center. 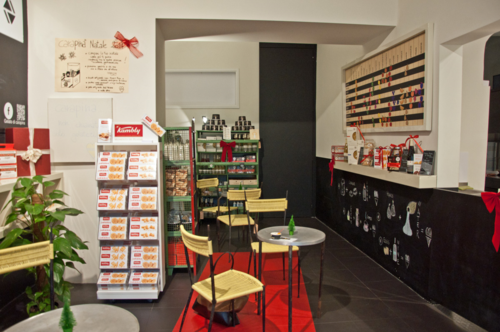 Bonus: Unlike most other gelaterias, Carapina serves coffee and has a few small tables, too. Amanda, I wanted to know what Gelato shop you would recommend for my family. We are stopping in Rome on a cruise. We are on a self guided, mad-dash, marathon trip. Colosseum in the morning, Trevi, Pantheon and Plaza Navona AND then Vatican before we RUN back to the train to RUN back to our ship. 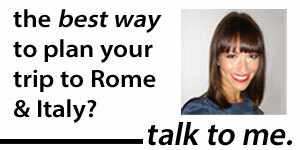 I know it is crazy and NOT the way to see Rome, but that is all we have. So, around any of those sites, what shop would you recommend? Hi Robin! I have to say, I love that in your mad-dash day you are still prioritizing gelato. Right on! 😉 Given where you’ll be, I’d say Fatamorgana, but the Prati location — it’s just moved and is at Via Leone IV, 50, right near the Vatican walls. Let me know what you think, and enjoy!